The trouble is they’re a threat to our fragile grip on apocalyptic Earth. Their mere existence tests the relationships with our fellow survivors to breaking point as we struggle to replenish finite food, water, and medicine. Our cruel treatment of them is borne out of necessity: they are monstrous husks that must be obliterated, unless we want to be their next quivering course. 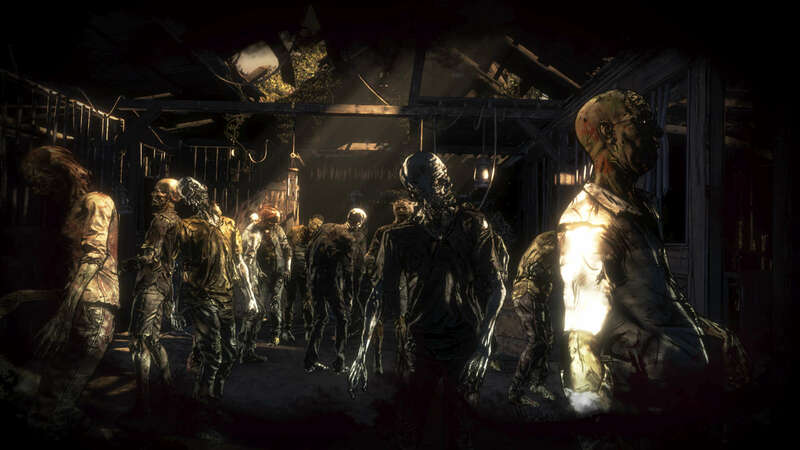 Rarely do zombie games ask whether our decaying antagonists are more than just decomposing cannon fodder. 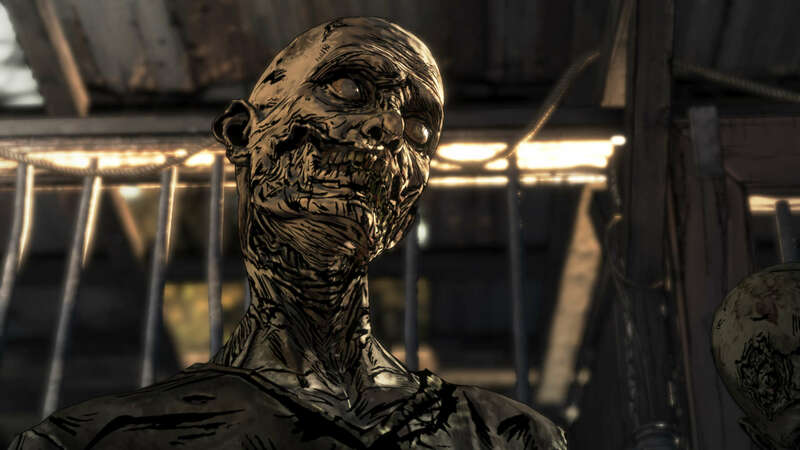 The third episode of The Walking Dead: The Final Season, however, is a curious exception: Broken Toys invites us to ponder what, if anything, is going on behind those burning, demonic pupils. Should we, as good, principled survivors, think before we garrotte? This comes at a point in the story when we could really do without any more philosophical dilemmas, quite frankly. Things aren’t going swimmingly for Clementine, AJ, and their juvenile gang. Food is increasingly scarce and there aren’t enough people to hunt and forage. But at least I can still dispatch those irritating zeds with reckless abandon, right? Am I starting to feel sorry for zombies? Not according to James. This young man, met in the previous episode, is one of the Whisperers – someone who wears the skin of the undead as a disguise. When he pleads with me to kill as few zombies as possible as he scrabbles for his lost mask, I wonder whether the near-extinction of human civilisation has got to him a bit. That’s until he shows me a barn not far from my base, which he claims holds the cause of his mystifying forbearance. Refusing to say more, James gives you his mask, takes your weapons, and asks you to ring the bell inside. Within is a smattering of walkers, standing aimlessly, as if in a queue at a post-apocalyptic Post Office. Now in first-person, with the mask hindering your vision somewhat, you gingerly brush past the undead toward the bell dangling from the ceiling. Not long ago it appeared as if we wouldn't get an episode three of The Final Season, let alone a conclusion. 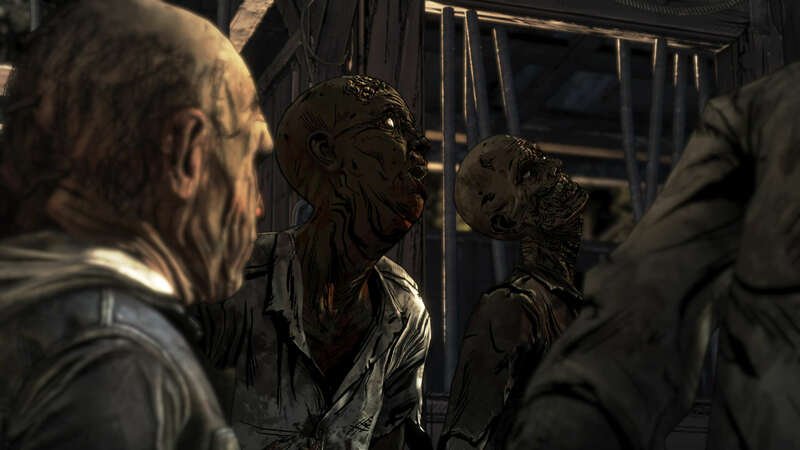 In September 2018, Telltale laid off most of its staff without notice. While Clem's story is being concluded by Skybound Games - the company behind The Walking Dead comic - “around 40” of the original team remain on the project. Little can prepare you for the unsettlingly peaceful atmosphere here. 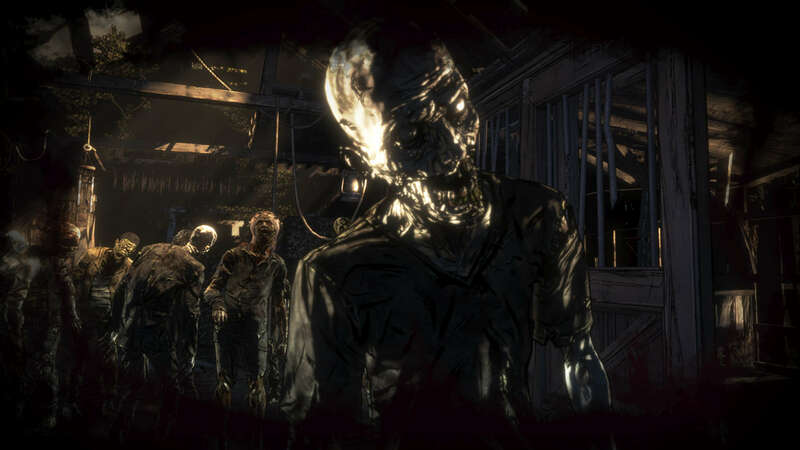 Without hope of access to their prey, the zombies merely exist in each other’s hushed presence. Mistaking me as one of their own, their typically-violent nature has vanished completely. One stands in my way, but another shoves them back to defend me. The flicker of humanity is uncanny. Then I stretch to ring the bell, and every zed swivels on the spot. Mouths agape – some without jaws, admittedly – they each forget their inescapable hunger, transfixed by the tinkling sound the instrument emits. If there’s any life languishing in these animated corpses, then it’s given over to enjoying a fleeting moment of what appears to be delight. You might maintain that these zombies are just mindless monsters, but this sequence changed how I approached encounters with them. When I’m given the choice to execute or simply stun one, I’m minded to settle for the latter, haunted by that one thought-provoking moment. Am I really starting to feel sorry for some zombies? 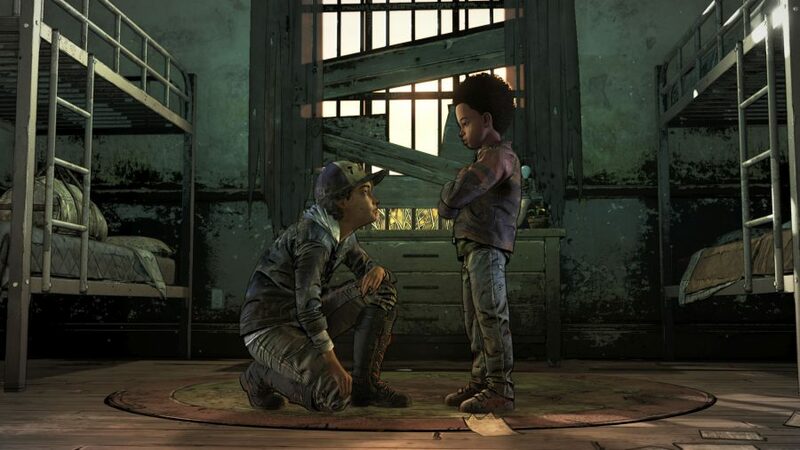 It’s a testament to Telltale’s storytelling chops that this is something I’m remotely concerned about – even with AJ to protect, mouths to feed, and people to rescue. The barn invites you to consider if there really is any iota of sentient human in there somewhere. You’re given the opportunity to empathise with entities that are characterised as evil or monstrous, and challenged to consider their humanity by taking the time to experience their plight first-hand. I can think of few more crucial lessons for the polarising times we live in today, in which us versus them has become a regular part of internet interaction. 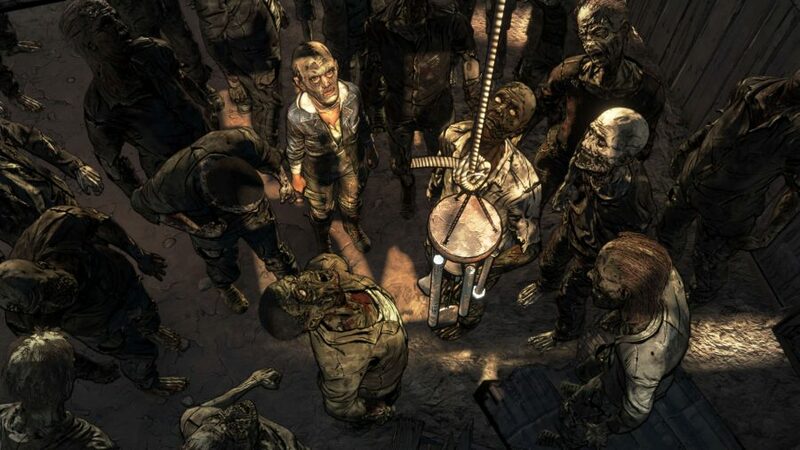 Whether you can stomach the slaughter of these much-maligned creatures once the credits of Broken Toys roll or not, it looks like Telltale’s Walking Dead series is ending just as we need it most.